Spring is here! 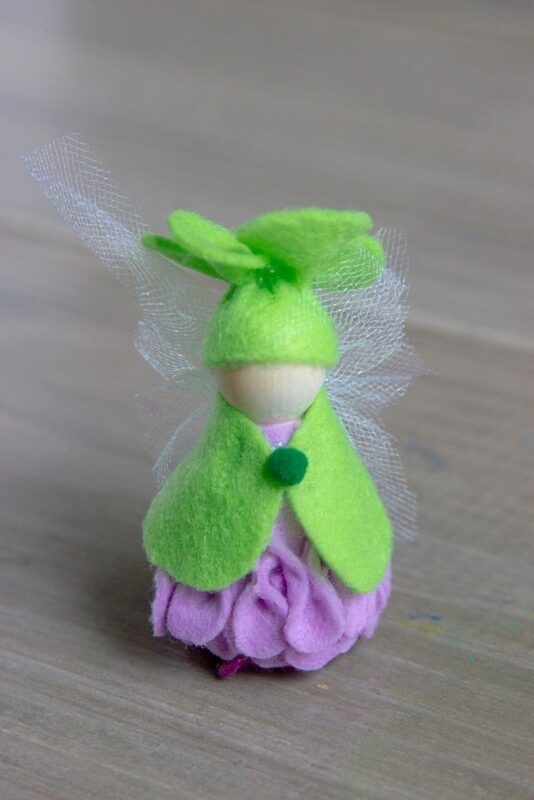 And these flower fairy peg dolls are the perfect handmade toy to go along with spring stories and songs. We recently got this sweet book, and I can’t believe we hadn’t read it before. There are little poems for many different flowers and the sweetest illustrations to go with them. I’ve also included an original story with a few flower fairies in the Rooted Childhood March Collection. My kids adore stories, and I love telling them stories. Storytelling is a lost art, but it has just as much relevance today as it did before there was pen and paper, computers, or the internet. Storytelling has been around since the beginning of time. It began as a way to pass down information, morals, and wisdom from one generation to the next and continues to serve those purposes today. Especially for little ones, adding in some kind of prop or visual can really make a story come to life. When props or puppets are given lifelike qualities, children can relate to them and are drawn into the story even more. Instead of just listening to the story, children become active participants in the story. When the props are available to the child after the storytelling is done, children learn the art of retelling a story and often spend time re-enacting scenes from what they heard or making up new scenes. 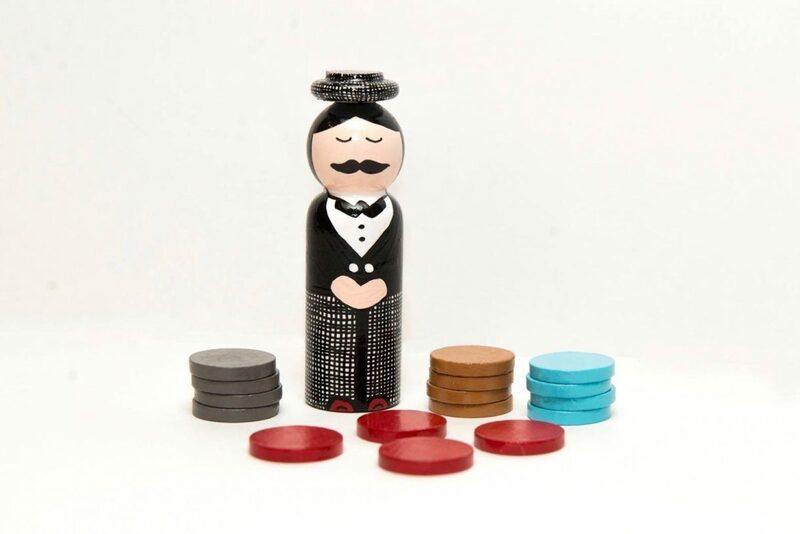 Peg dolls are a great choice for storytelling props because they are inexpensive, easy to make, and can be customized for whatever story you’re telling. We have the most adorable peg dolls by The Silvan Reverie to go along with the book Caps for Sale that started our peg doll obsession. We also have some super simple acorn peg dolls that we got at our homeschool group’s handcraft fair. 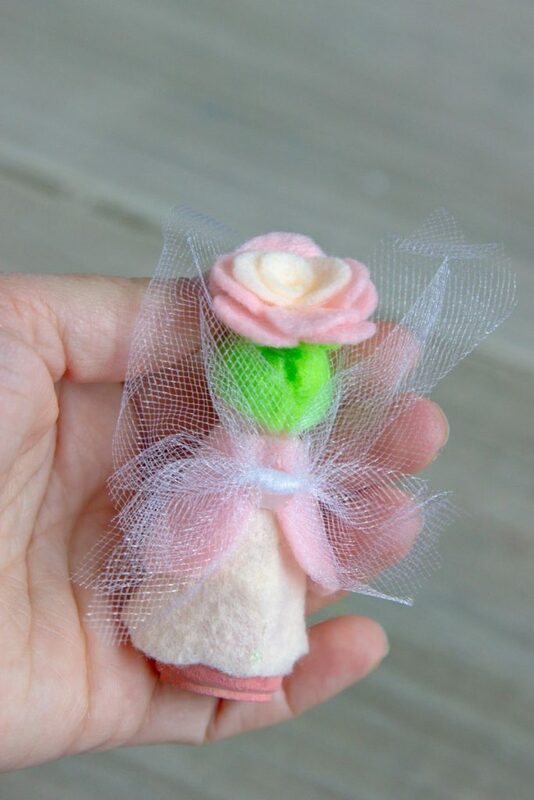 For spring, we decided to make some flower fairy peg dolls to go along with all of our flower stories. 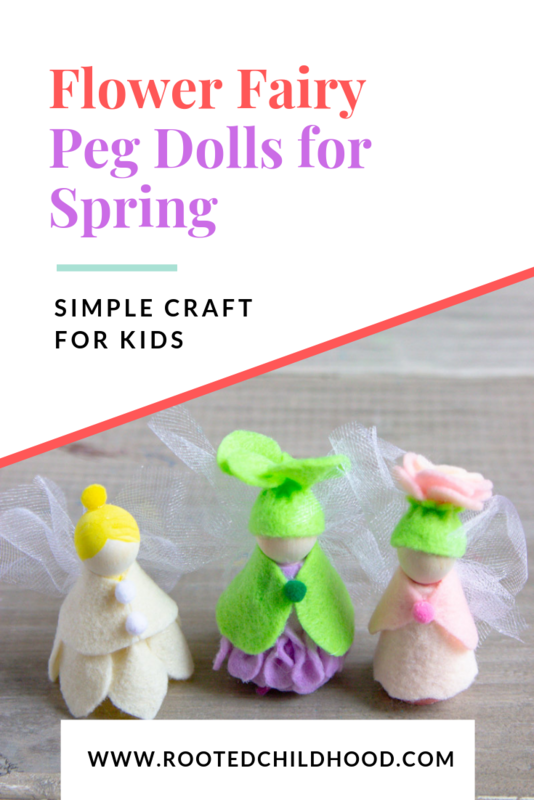 Simple, painted peg doll are a great option, but we decided to jazz these up with felt, tulle, and mini pom poms for a really whimsical look. 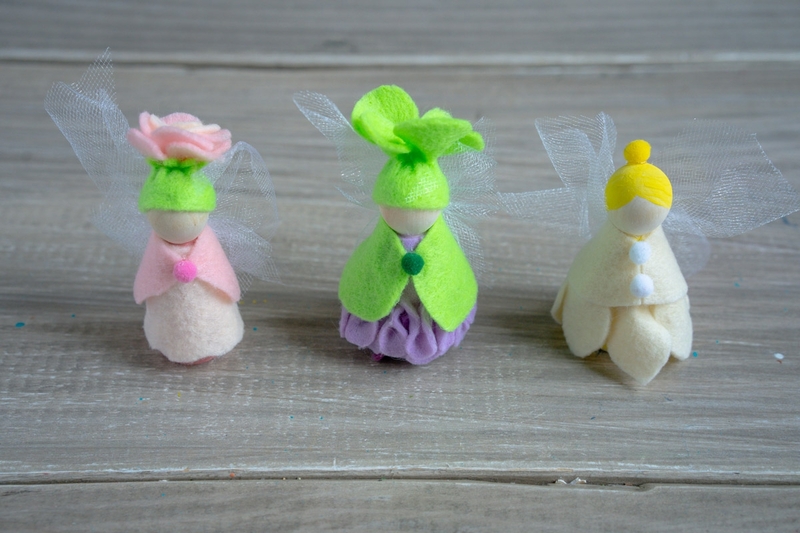 These flower fairy peg dolls turned out so cute, and they’re a big hit with my kids! There are four main parts to your flower fairy: the head, the dress, the cape, and the wings. Paint the body of your peg doll in a coordinating color, if desired. You may not be able to see much of it in the final product, but you’ll see some sticking out on the bottom. For babies and toddlers who may put the dolls in their mouth, skip the paint. Create a flower cap for your doll by cutting out individual petals and hot gluing them together into a blossom on top of the peg doll. 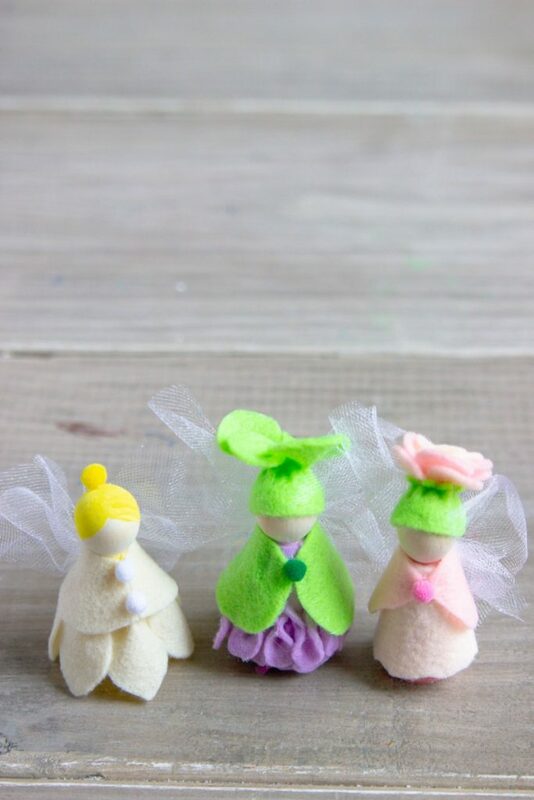 Alternatively, try painting on your peg doll’s hair and using a mini pom pom for a tiny fairy bun. You might decide to draw in some facial features or leave it up to your child’s imagination. 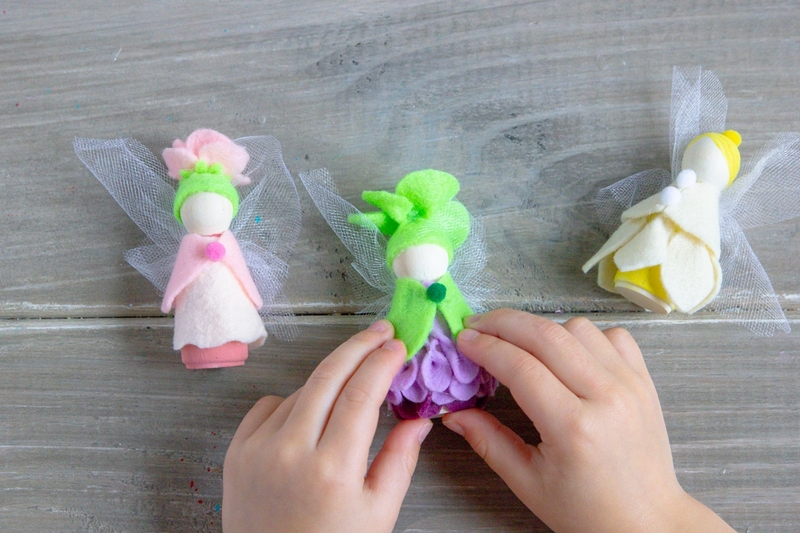 Use felt to create a dress for your flower fairy. Use a single piece of felt or cut individual petals for the flower look. Use hot glue to attach the dress to the peg doll. 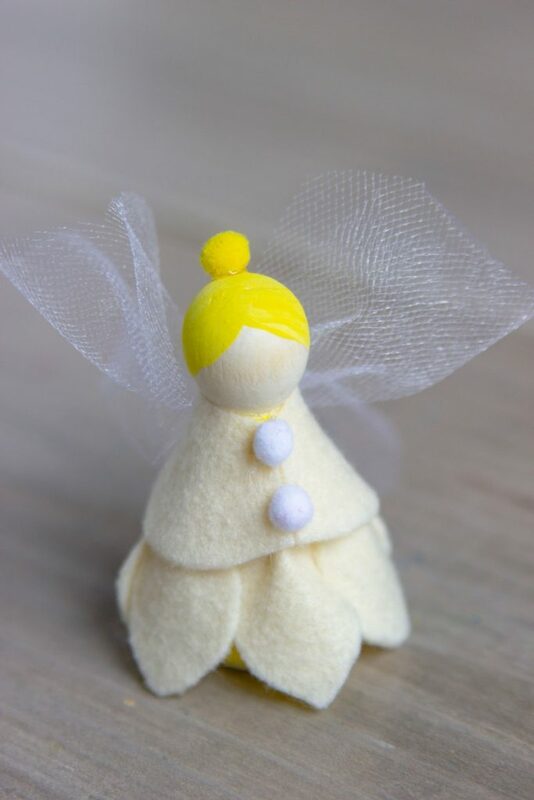 Add a finishing touch to the flower fairy’s dress with a felt cape and mini pom pom accents. Create the wings by using a small piece of tulle gathered in the center. Hot glue the wings on the peg doll’s back. And that’s it, your flower fairies are done and ready to be played with!